We think of ropes we think of our childhood but a simple rope is a good fat burning workout for everyone to try. 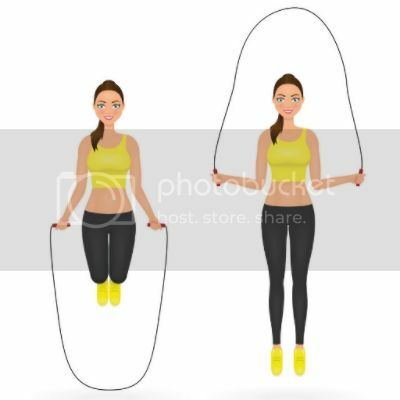 If you go jogging or run at a slow pace and don't enjoy running (like me) swap it for jumping rope ... you can burn more calories skipping. Intensity is a big factor in this exercise. As a person who suffers exercise induced asthma I definitely prefer skipping over running especially in the colder days. Its actually hard work. I've tried practicing double unders because in our workouts if its 30 double unders if you do singles it's 60 ... I simply can't do them I'm sure it would be funny seeing me try though! I read jumping is best. Find more posts on burn, calories, jogging, jumping, rope, swap.